What is Holi without some Thandai?! THANDAI: A festive drink made on the occasion of Holi, using dry fruits, spices, milk and saffron. Soak the peppercorns, raisins, cardamom and seeds in water for 2-3 hours. Drain the water and add the spices to a blender with Almond Butter and Cashew Butter. Grind the mixture to a smooth paste. Add the milk to a pan and bring to a boil. Next add sweetener, rose water and saffron. Mix until sugar is dissolved. Add the pre- prepared paste to the pan and mix well on slow heat. Refrigerate until chilled. Pour into glasses and top with the garnish. Enjoy! 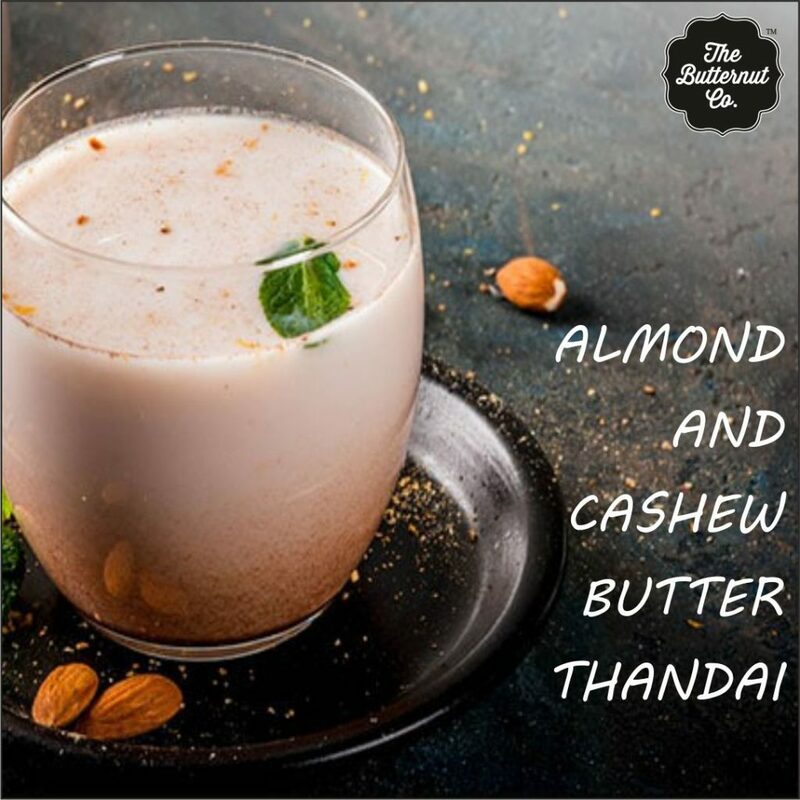 This entry was posted in RECIPES and tagged Almond Butter, cashew, Cashew Butter, smoothie, thandai.